It’s Friday, and we’re giving away Free Book Friday’s first #LabF15 title. But first…congratulations to @rrhislib! Send us your email and we’ll get First Man in the mail. Fourteen-year-old James is worried that the young humpback whale he tracks online has separated from its pod, so naturally he emails Darren, the twenty-something would-be filmmaker who once volunteered in James’s special education program. Of course, Darren is useless on the subject of whales, but he’s got nothing but time, given that the only girl he could ever love dumped him. 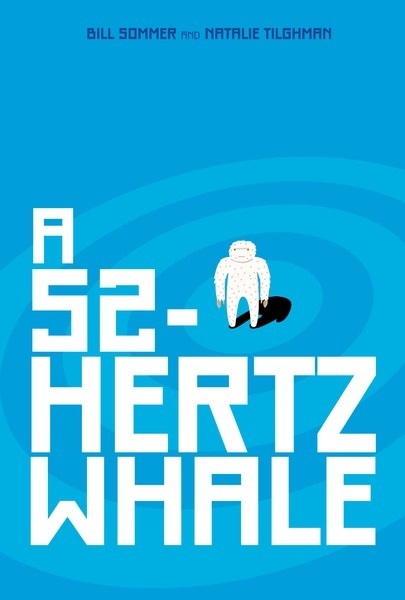 If you’d like to win A 52-Hertz Whale, please leave a comment on this post (including your first and last name), or tweet this line: “Free Book Friday! Tweet to win A 52-HERTZ WHALE from @CarolrhodaLab. bit.ly/1OrSN“ Make sure to check the blog next week to see if you’ve won! The email address for @rrhslib is rrhs_library@roundrickusd.org. Thanks!